In what’s swiftly becoming a spring tradition, a new Game Of Thrones-inspired beer from Brewery Ommegang arrived in The A.V. Club offices last month, this one borne on the stuffed wings of a plush bird toy. And just as we have since the First Men combined wheat, barley, and hops and branded it with a recognizable Song Of Fire And Ice allusion, The A.V. Club tasted that beer on-camera. 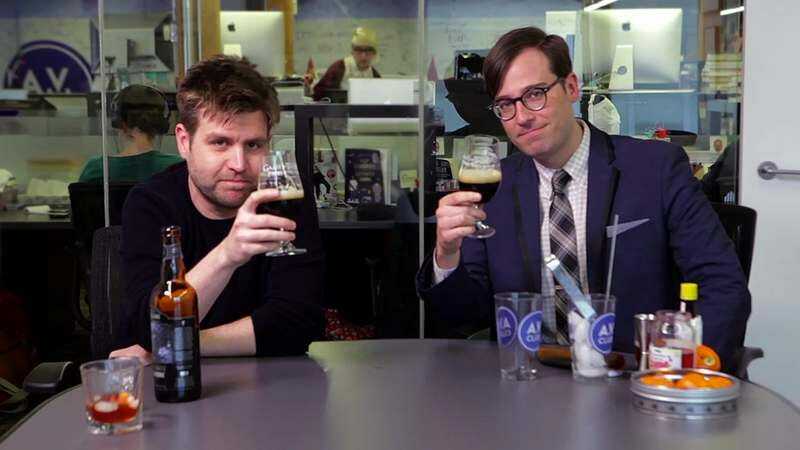 Watch below as TV editor Erik Adams and senior editor Sean O’Neal sample Three-Eyed Raven, a dark saison that’s as full-bodied as Hodor and as bold as preemptively declaring that Hodor (and Bran, and presumably the beer’s namesake) won’t appear in season five.